It is widely known among florists and wedding planners that the majority of brides choose popular traditional flowers for their wedding. Garden roses, hydrangeas, callas, and regular roses are chosen by hundreds of brides because of their classic shape and colors. Tones like cream, peach, light pink, and white are carefully chosen to accentuate wedding venues, churches, reception halls, etc. When classic flowers are not on the list, brides normally choose outdoor wedding flowers such as gerberas, chrysanthemums, and sunflowers. 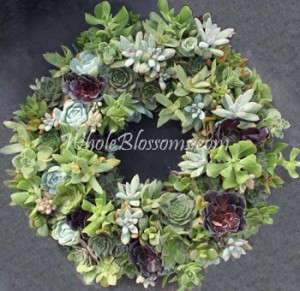 Nevertheless, during the past year, there has been a significant increase on the number of brides who chose succulents as their focal flower for their bridal bouquet.